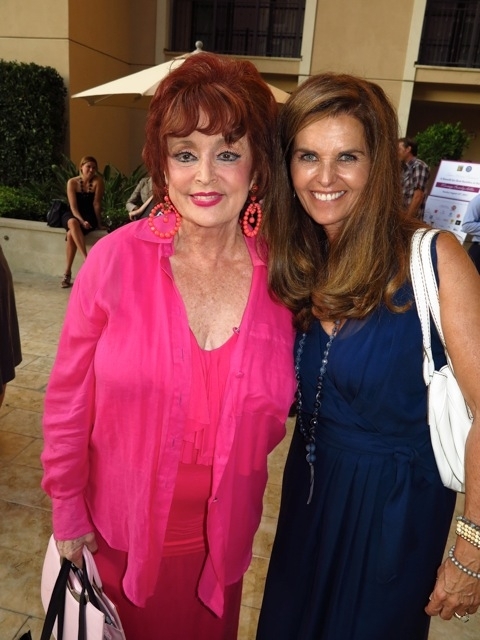 We were invited by The Former First Lady of California, Maria Shriver to the Montage Hotel in B.H. for a Benefit for Best Buddies. This programs’ mission is to foster friendships and workplace opportunities for people with intellectual and developmental disabilities. 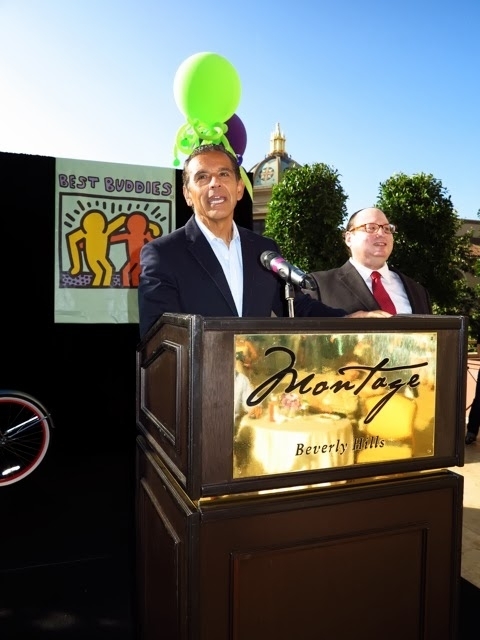 Among the celebrated guests were Mayor Villaraigosa, Maria & her gorgeous brood (Patrick, Christopher, Christina & Katherine) & many of their young friends); and Liz Loren Romanov, the Honorary Czarina of Palm Springs Cosmetic Company — Danne Montague-King (DMK), which is one of the largest donors of the Harvey Milk Foundation, and was just awarded the Outstanding Leadership of Human Rights Award. The always-gracious Maria spoke about the Best Buddies Challenge to HearstCastle on September 7th, to raise awareness for this organization founded by her brother Anthony Shriver, in memory of Eunice Kennedy Shriver and Sargent Shriver. The organization has raised almost $400 thousand in 2012, with 120 riders, and you are invited to join the participants. Some of their noted supporters include Teri Hatcher, Nancy O’Dell (Entertainment Tonight) and Governor Gavin Newsom. Important Notice: Canasta Players are invited (beginners or experienced) to the Santa Monica Bay Woman’s Club, to join them for “complimentary” coffee and dessert. They play and teach Canasta every Monday at noon, at their beautiful clubhouse at 4th and Wilshire, and everyone is welcome. For further info, please call Addie at 310-453-2919. Hope to see you there — it is lots of fun! Everyone knows how much I love The Great Gatsby! Dr. David and Deborah Alessi cordially invites everyone to A Gatsby Affair, September 28th, to benefit Face Forward, a non-profit organization who supports survivors of domestic violence. They are honoring Dr. Phil and Robin McGraw; and Jake Kloberdanz will receive their community philanthropic award. There will be special performances by Grammy Winner Macy Gray; and Stacy Francis, highly acclaimed singer, actress and X-Factor finalist. The event will be held at the glamorous Fairmount Miramar Hotel in Santa Monica, and dress attire will be 1920’s inspired, or black tie. Torrey Pines Bank and Turkish Airlines sponsor the event, and among their Honorary Committee are Bonnie Somerville, Jennifer Coolidge and Tom Arnold — so you know there will be lots of celebs in attendance. A wonderful way to have a fabulous evening, and support a cause that is important to us all.